The Bilt Racing Service Motorsports AOS adapter allows for the installation of the 2002 and later 996 3.6 Motorsports AOS for 3-chain M96 engines to 97-02 Boxster and 99-01 996 models with 5-chain engine. Reduces engine smoking caused by extreme driving conditions. Adapter does not include Motorsports AOS, AOS bolts, or AOS vent tube/hoses. Modifications will be necessary on cars not already equipped. Please note AOS connections/lines and routing require customization/modification when fitting the Motorsports AOS. Professional installation recommended. Designed for and works with Genuine Porsche Motorsports AOS part number 996 107 926 00 (sold separately). We recommend adding the 2 quart deep sump in addition to the Motorsports AOS to any vehicle that will see any track use to help reduce the chance of AOS failure and engine damage. The oil level should be set at the minimum level as oil expands when it gets hot. 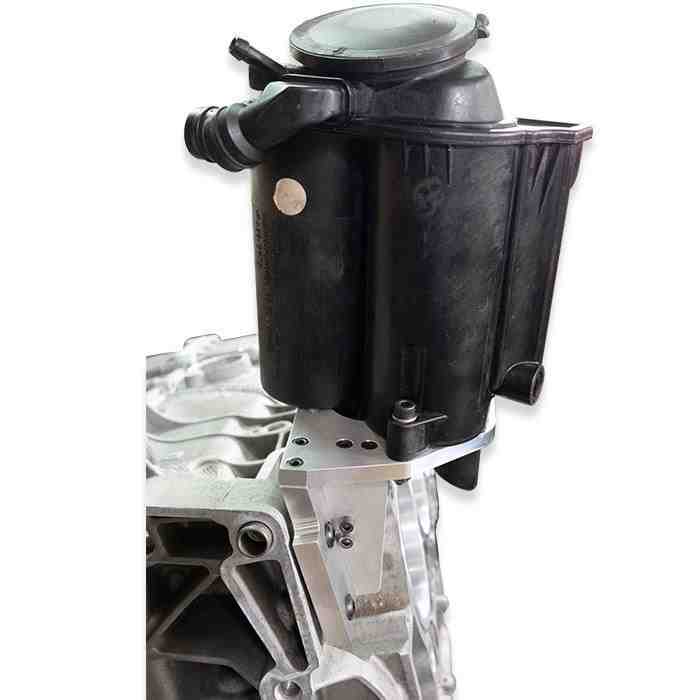 The addition of the 2 quart deep sump will help increase overall sump capacity and oil control, while allowing a lower oil level which reduces crankcase windage and load on the AOS.